"Voted Best Cup of Coffee in NYC!" I received Mild as a gift and didn't have high expectations. I tend to like darker flavorful coffee. I also tend to mix caf and decaf to get my own blend. This coffee I like by itself. It hits the spot every time. Smooth, good and flavorful without any bitterness. I loved this one enough to search for it on the web. I AM looking forward to trying the Dark. This is the only dark coffee for me! This coffee is the best dark roast ever. I went into a little country store while skiing in Vermont and my friend and I asked the clerk what coffee they had that would wake us up, tastes great and is organic. 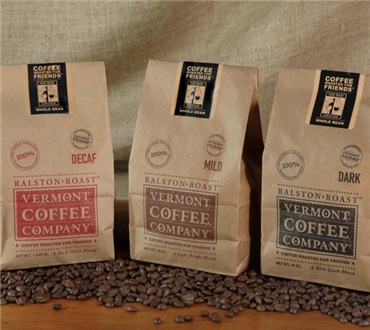 She said "Vermont Coffee Company Dark Blend, it's a customer favorite". That was three years ago, I've been using it ever since. Love this coffee & will never be without. This coffee does not have the strong bitter taste that a lot of other coffees have. For a mild, smooth coffee this is the one to have.